It’s too early to buy bread and milk, but Accu Weather is predicting a hurricane season that is “at or slightly above normal” in 2019. There will be 12 to 14 named storms in the Atlantic this year, with five to seven becoming hurricanes. Hurricane season technically begins June 1st. Thursday will be a washout at the Jersey Shore, but it could be worse. 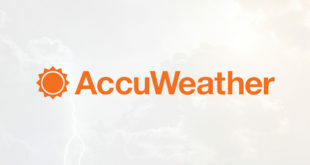 Accu Weather is calling for rain, heavy at times, with windy conditions on Thursday into Friday morning. This same coastal storm is expected to bring stronger winds and heavy snow to New England before the weekend. It will be a sloppy weather day on Friday with snow mixing with rain before a changeover to all rain. Accu Weather predicts no accumulating snowfall before the changeover occurs. Saturday is expected to be dry, before rain appears again with warmer temperatures Sunday morning. It’s going to feel like January today, in March. Accu Weather is calling for temperatures to remain in the 20s throughout the day today and tonight. Friday brings a slight chance of snow before a changeover to rain, and Sunday looks warm, but filled with rain.